Like Thanksgiving, Mardi Gras, and the Opening of Buck Season in Pennsylvania, December 5, aka Repeal Day should be one of our nation's great holidays. After all, the demise of the 18th Amendment, also known as the Volstead Act, also known as Prohibition, brought an end to 13 (sort of) dry years for our country. 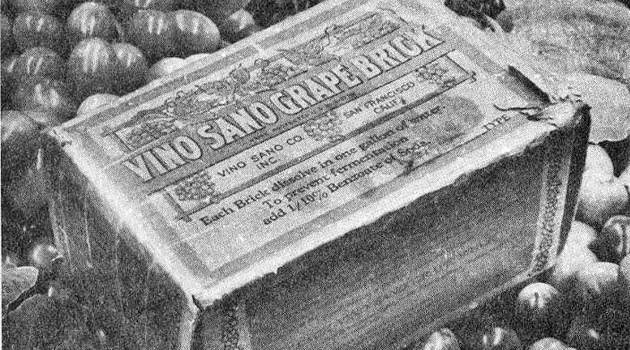 Alas, what Prohibition wreaked on California's wine industry reverberated for at least 40 more years (that the era fell between WWI and WWII, and so many fell then, too, of course didn't help matters). But here's one fact that will prove it took decades for an industry to recover from Prohibition: it wasn't until 1967 when table wine finally surpassed dessert wine in volume sales in the U.S.